All of our sermons are recorded as podcasts for you to revisit, share, or worship with us virtually. Can't make it to church? No worries! The weekly message is available on demand, at your convenience. 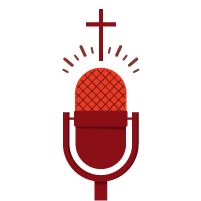 You can subscribe to our sermon podcast on iTunes. If you missed a sermon or loved one so much you'd like to give it another listen, you can check in weekly for sermon updates.